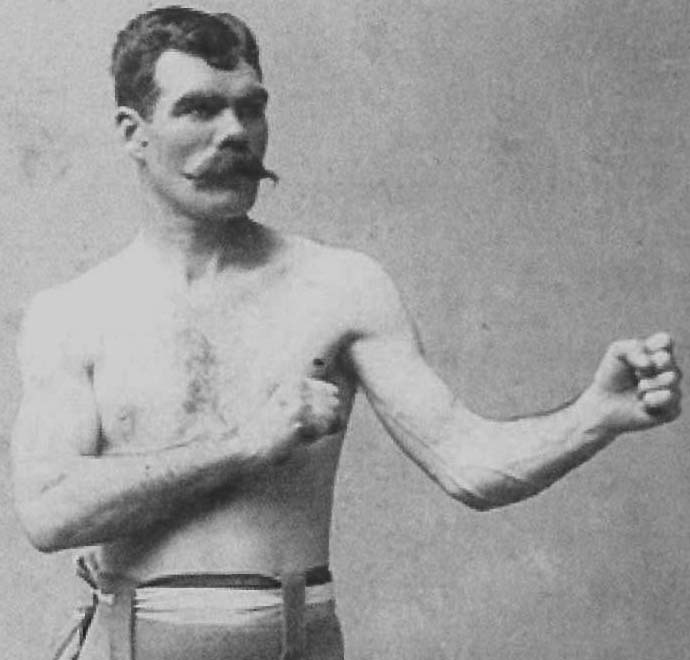 “Paddy” Slavin was a famous pugilist in the late 1800’s and early 1900’s. Born in 1862 in Maitland, NSW Australia, he was the Heavyweight Champion of Australia at one time hence his nickname the “Sydney Cornstalk”. “…Now old pal I am sending by this mail a couple of papers of our little town, and in the first noted you will see I am still on the track and can make they boys go a bit. I won the two mile walk in the snow here at our winter sports. I can still do my two miles in 18 minutes – not so bad for an old “has been,” though he was one of the smartest of the old bunch. Not a pound of surplus flesh on me. We are going to have a great country here in the Yukon Territory, Canada. The population of the territory is made up of people from all parts of t he world, and there is a very strong percentage of kangaroos and New Zealanders. Dawson City is 350 miles further down the Yukon River and north of this we have good sport-horse racing and cricket, base-ball, curling and skating and hockey matches. I had the privilege of being the first starter in this territory. I started the first horse race in this part of Canada and the farthest north in the world and on that part of the glorious Empire which the sun never sets on in 1898. My son Frank is quite a good lad with the gloves. He is now 16 years old and I have apprenticed him to the engineering. He has now put in a year. He is a very big boy for his age 5ft 10 in high and weighing 142 lb and can go some but I will not let him go out of the amateur ranks. I have two girls, one 14 years and one 18 months – a native daughter.” Letter published in the New Zealand Truth, Issue 143, 14 March 1908 page 8. He signed up for WW1 in Canada but because of his age was turned down. He then enlisted in the Western Scottish Battalion and worked first in recruiting, but then fought in Europe, suffering from shell-shock in 1917 after 57 days in the trenches. Frank Slavin lived in obscurity until his death on October 17, 1929 in Vancouver BC. Frank “Paddy” Slavin was my greatgrandfather. Did you know his son, Frank, also fought in WW1. He unfortunately did not come home,he was killed in action September 29, 1918 just a few weeks before he was to return home. I wish I knew who my greatgrandfather was writing in that very interesting letter you printed, do you happen to know? I have a family myth that we are related to Paddy Slavin and my father was also a boxer (amateur) but had that belief. However my research goes back to a John Slavin being born in Bendigo around 1859 but I am unable to identify his siblings or parents. The family story is that we are related to Paddy’s brother John. Do you have any knowledge of Paddy’s brother lineage? I made a comment re Paddys sister being my great grandmothers brother! 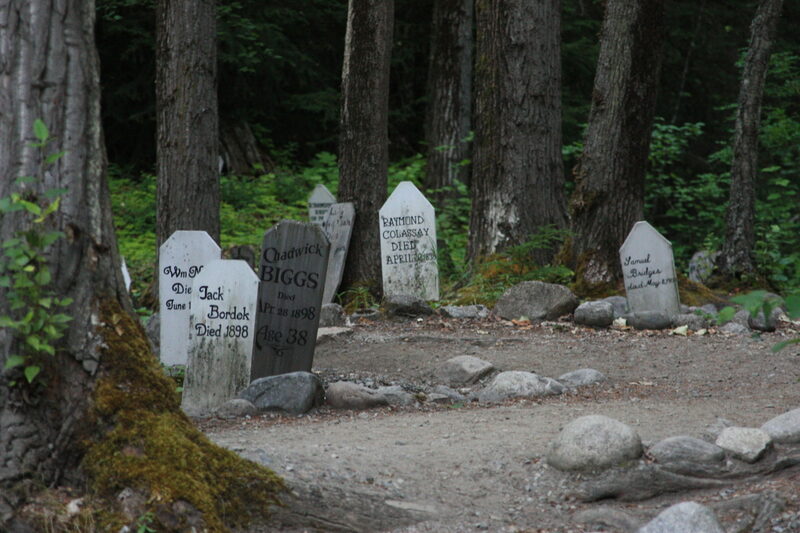 We are in Vancouver and will visit his grave in the next few days! He sounds a very interesting man! Paddy,s sister Mary Anne Slavin married my great grand father Tim Toohey and my father can remember visiting her on a number of occasions before her death in 1942. He tells me that his father used to tell stories about Paddy mostly from letters Mary Anne received. Sounds like there is lots more research to be done on the Slavin family! I love the pictures of Frank Slavin! Previous PostPrevious Thomas Christmas Riggs Jr.